Elections: One person, one vote. Biometric elections in 3 steps. GenKey’s three solutions are helping to deliver fair and transparent elections, securing the fundamental democratic principle of ‘one person, one vote’. Registering voters to the highest standards. Our Enroll Solution ensures the highest quality of biometric and biographic data-capture for all eligible voters. It’s a proven solution, having been deployed successfully in large-scale elections in Ghana, Tanzania, Mozambique and Cameroon. Using GenKey’s Enrollment software, the process of scanning a voter’s fingerprints and collecting their biographic information, takes just a few minutes. A proof of registration or temporary voter card can also be printed during this process. 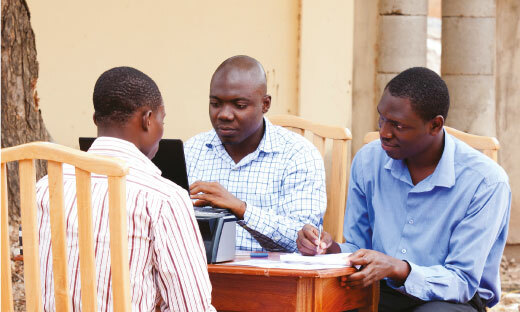 Data is captured using our biometric registration tablets. They’re tested to withstand challenging environmental conditions and are also handheld, making the process of registration more efficient and mobile. Managing a reliable voters’ register. Our 1=1 Solution is the hub of GenKey’s ID management. It enables a voter’s data to be retrieved, updated and maintained efficiently and securely. It also runs a continuous deduplication check, powered by GenKey’s supercharged ABIS. The result is a clean voters’ list that meets international standards and ensures that one person = one vote. On election day, voters are verified by checking their biometric and biographic data against the information on the voter register. Our Biometric Verification Devices (BVDs) are equipped with specialized technology that determines a voter’s identity and right to vote. They also supports Electronic Results Transmission, sending the tally data at the end of election day. 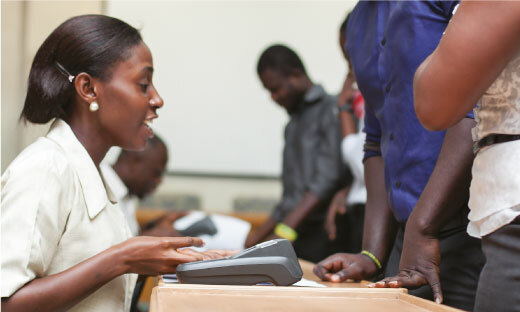 Our Verify Solution is proven, carrying out over 11 million verifications in a single day, for Ghana’s presidential election 2012. It’s been used successfully in subsequent elections in 2015 and 2016.